Today in Ukraine nobody knows exactly and cannot know the truth about the quality of natural environment as there is no material, technical and professional facilities to monitor thereof. For example, out of 37 pollutants in the air, factual measurements are made selectively by 5-8 indicators and then within small territories of the cities. No monitoring of dioxins, electromagnetic and acoustic radiation is available in the country. There is practically no monitoring of ionizing radiation in water, soil, air, except for the areas adjacent to the Chernobyl zone. Of the 300 thousand of domestic polluters only about 30 thousand were taken on record by the Ministry of Environment and Natural Resources of Ukraine. Why? Almost all of representatives of governmental bodies play for the owners’ hand or lobby for their own interests. They conceal or distort the objective information about polluters. Officially published data of statistical reports in most cases do not reflect reality, since more than a half of the country’s economy is in the shade and everyone is irresponsible. Real monitoring of the environment is replaced with a paper one containing proper figures. Should this be the case, some polluters must have been stopped and paid considerable sums for pollution and, most importantly, they must have been responsible for outrage in relation to health and life of the population. 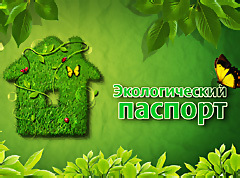 Therefore, the “task” of environmental and sanitation services is to withhold evidence of the real volume of discharges, emissions and waste production, to convince inhabitants of the non-exceedance of electromagnetic, acoustic, and ionizing radiation, to minimize fees and fines for the environmental pollution and damage to human health and life. At a conservative estimate, the amount of the budget revenue should be about 14,5 bln hryvnia, in fact it approximates to 1 bln hryvnia per year.